MailChimp’s marketing campaign, “Did You Mean MailChimp?”, was one of the three Cyber Grand Prix winners at Cannes International Festival of Creativity 2017, in recognition of an integrated multi-platform campaign. 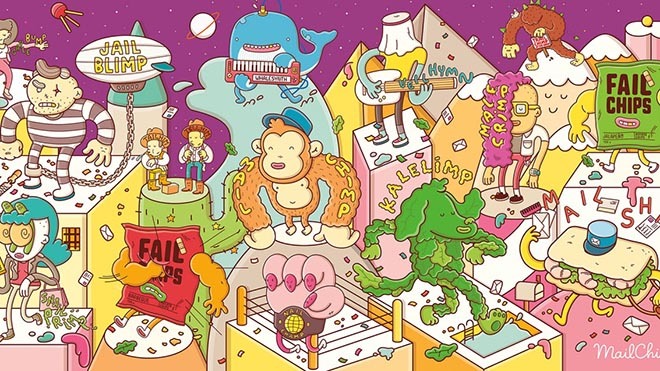 Launched in January 2017, the brand campaign was designed as an ecosystem of additive, artful and playful experiences connected with the mispronunciation of the email marketing platform name Mailchimp. MailChimp is the world’s leading marketing platform. Fifteen million customers, from small e-commerce businesses to major online retailers, use MailChimp to express themselves to the world and connect the right people with the right message, at the right time. As a company that has built itself on enabling small businesses to grow without compromise, the new campaign shows that MailChimp practices what it preaches: Being creative and true to yourself is good for business. For MailChimp, that meant having fun with its name in as many creative ways as possible, drawing on inspiration from its 2014 audio ad, popularized by cult podcast series Serial, in which people mispronounced MailChimp, ending with the now infamous “MailKimp?”. This inspired a collection of cultural activations, from creating hit singles and a new brand of potato chips, to starting fashion trends and making short films about singing sandwiches. MaleCrimp, MailShrimp, KaleLimp, FailChips, VeilHymn, SnailPrimp, JailBlimp, WhaleSynth and NailChamp all have one thing in common: They sound like “MailChimp.” The Did You Mean Mailchimp campaign, online at mailchimp.com/did-you-mean, was experienced in cinemas and has expressions on social media platforms such as YouTube, Twitter, Tumblr and Instagram. Three “mood films”, MailShrimp, KaleLimp and JailBlimp, were released in USA cinemas early in the campaign before being released online with their own sites, YouTube channels and movie posters. Robert Vacha and Peter Klimes star in this short film featuring a singing shrimp sandwich in the mailroom. The film is supported by its own site, mailshrimpfilm.com and a movie poster. 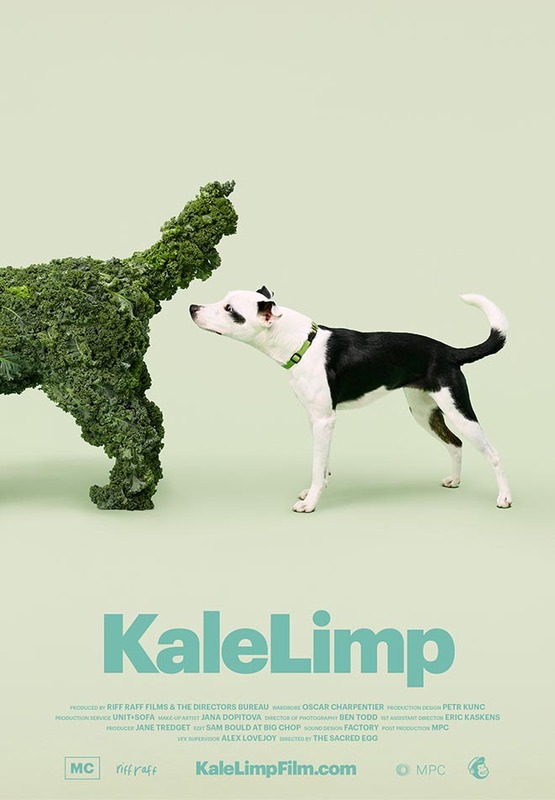 Zdenek Subr, Helena Jilkova, Boris Wilke are featured in the KaleLimp film, in which a dog made of wet kale releases leaves for diners in a restaurant. The film is supported by the website, kalelimpfilm.com, and a movie poster. 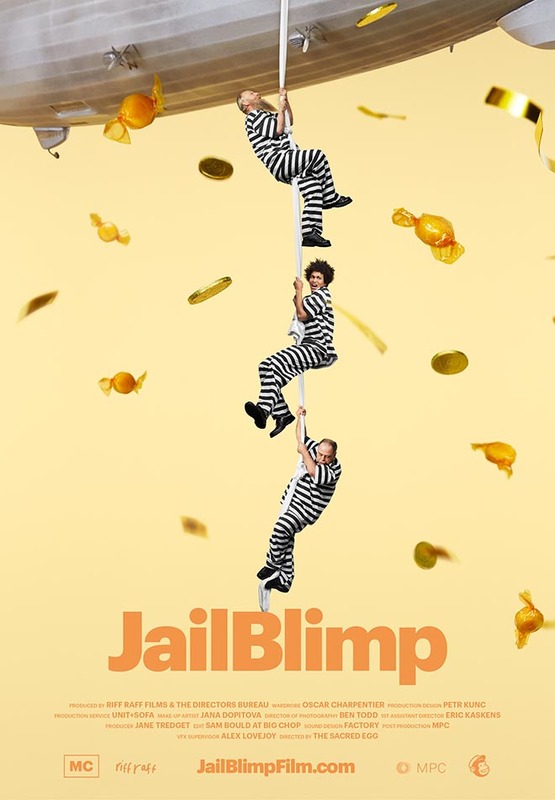 Actors Rachel Podrazilova, Jan Vokrouhlecky, Filip Vu, Jiri Sieber are featured in the JailBlimp film, in which a birthday girl smashes her way into a jail blimp piñata. The film is supported by the website, jailblimpfilm.com, and a movie poster. VeilHymn, is a musical collaboration between Devonté Hynes and Bryndon Cook. Vistors to the site veilhymn.com interact with both the 4:35 minute music video, Hymn, and behind-the-scenes footage. If you’re feeling like you want to take your face back in time, then maybe you should treat yourself to a SnailPrimp. 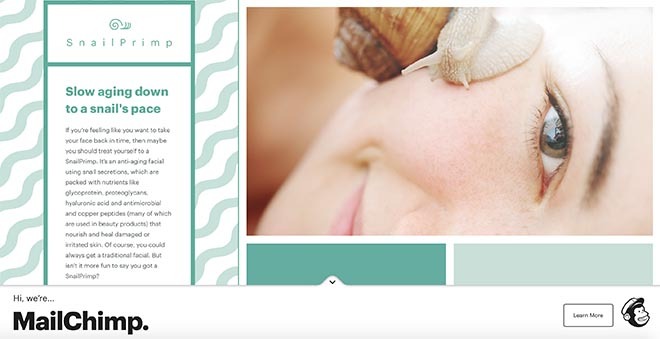 It’s an anti-aging facial using snail secretions, featured online at snailprimp.com and instagram.com/snailprimp. 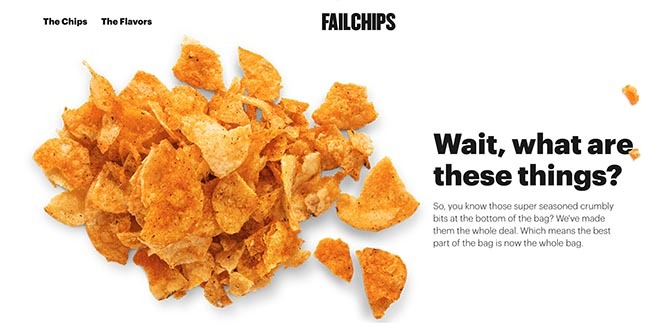 The fake brand FailChips, online at failchips.com, features the small and crushed crisps found at the bottom of the packet. whalesynth.com. The anchor gives users the chance to dive into the depths of the ocean to provide deeper tones. The chorus feature allows for the addition of whales. 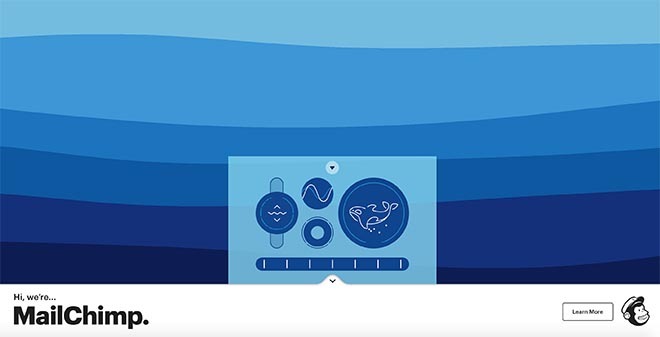 The species feature allows the sampling of three different whales. 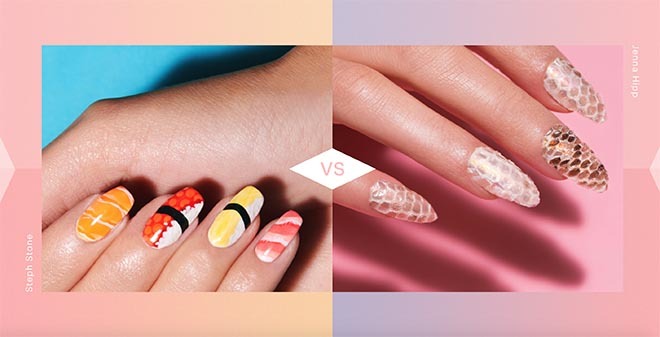 Online at nailchamp.com, the NailChamp Tumblr site features contests between polished nails. Online at malecrimp.com, the MaleCrimp Tumblr site is dedicated to men who crimp their hair. 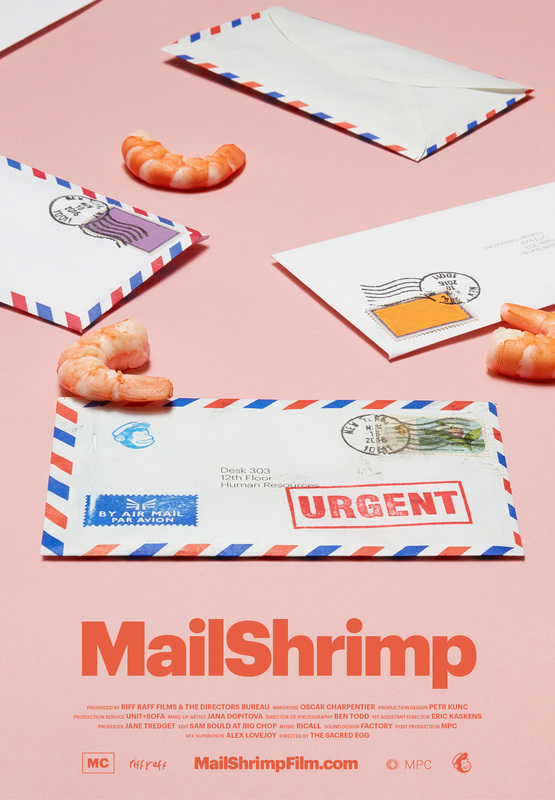 Within days of launch the #Malecrimp trend was being picked up on social media channels, with Buzzfeed launching a story on eleven historic figures who could really have rocked a mailcrimp. A video on the Mailchimp Youtube channel demonstrates the move from manbun to malecrimp. The Did You Mean Mailchimp campaign was developed at Droga5, New York, by creative chairman David Droga, chief creative officer Ted Royer, executive creative director Neil Heymann, group creative director Don Shelford, senior copywriter Julie Matheny, senior art director Matt Rogers, copywriter Ryan Snyder, art director Katie Willis, design director Devin Croda, senior designer Nate Moore, experience design director Daniel Perlin, junior experience designer James Garvey, chief creation officer Sally-Ann Dale, director of interactive production Niklas Lindstrom, associate director of interactive production Justin Durazzo, executive experiential producer Bo Djogo, senior interactive producer Leo Seeley, interactive producers Grace Wang and Morgan Mendel, integrated producer Riely Clough, director of art production Cliff Lewis, executive art producer Julia Menassa, art producers Nichole Katsikas and Frannie Schultz, co-directors of film production Jesse Brihn and Bryan Litman, senior film producer Anders Hedberg, associate film producer Isabella Lebovitz, music supervisors Ryan Barkan and Mike Ladman, senior editor Matt Badger, audio mixer Jesse Peterson, senior integrated production business managers Denise Klapp and Tom Vendittelli, director of print services Rob Lugo, senior print producer Alyssa Dolman, director of print services Rob Lugo, senior print producer Alyssa Dolman, retouching studio manager Michelle Leedy, graphics studio manager Virginia Vargas, quality control team Lisa Bishai and Susanne Johansson, retouching coordinator Michael Mockler, retouchers Pete Gibson, John Ciambriello, Mike Vorassi, Shari Alexander, Natasha Kaser, John Clendenen, chief strategy officer Jonny Bauer, co-head of strategy Colm Murphy, strategy director Katie Coane, senior strategist Justin Pak, strategist Midori McSwain, senior communications strategist Elsa Stahura, senior communications strategist Taylor Hines, data strategy directors Lily Ng and Bethany Bengtson, data strategist Kaveri Gautam, chief operating officer Susie Nam, executive group director Julian Cheevers, group account director Matt Ahumada, account director Pat Rowley, account supervisor Josh Freeland, associate account manager Camille Cheeks-Lomax, global head of PR Marianne Stefanowicz, PR manager Danny Hernandez, PR coordinator Ahrim Nam, head of project management Katia Billings, project managers Leslie Alexander, counsel Sarah Fox and associate counsel Zach Werner. Media was handled at PHD by strategy director Ji Kim, marketing sciences director Phil D’Addio, associate strategy director Alex Arcuri, associate director digital investment Tina Qu. PR was handled at RSquared by PR consultant Alison Voetsch. Interactive work was done at Resn. Filming for JailBlimp, KaleLimp, and Mail Shrimp was shot by directing collective The Sacred Egg via Riff Raff Films and The Directors Bureau, with director of photography Ben Todd, 1st assistant director Eric Kaskens, producer Jane Tredget, wardrobe stylist Oscar Charpenter, makeup artist Jana Dopitova, production designer Petr Kunc at Unit+Sofa. Editor was Sam Mould at Big Chop. Post production was done at MPC by VFX supervisor Alex Lovejoy and producer Louise Unwin. Sound was mixed at Factory by Jon Clarke. Music for MailShrimp was by Five Mission More (Abla El-Sharnouby and Tom Simpson) via Ricall. Music for JailBlimp was Bimbi by Joy Boy, with additional arrangement by Found Objects. Music for KaleLimp was Plantasia by Mort Garson. Film posters were produced at JUCO, represented at Art + Motion by managing director Billy Diesel. The VeilHymn song and video were produced by Devonte Hynes and Bryndon Cook via Domino Records, with director Malia James, director of photography Jackson Hunt, editor Mandy Brown, Strangelove executive producers Melinda Nugent and Sara Greco, line producer Laure Salgon. Conform/VFX was produced at The Artery VFX. Colour was produced at MPC London by colourist Houmam. Cover art photography was by JUCO. FailChips product was developed at MADE. Photography was by Paul McGeiver. The SnailPrimp event was produced at The Uprising Creative. The MailChimp Inception mural was illustrated by Brosmind, represented by Liz Leavitt at Levine/Leavitt. Photography in the FailChimps and MaleCrimp campaigns was by Paul McGeiver. Promotional photography in the NailChamp campaign was by JUCO.